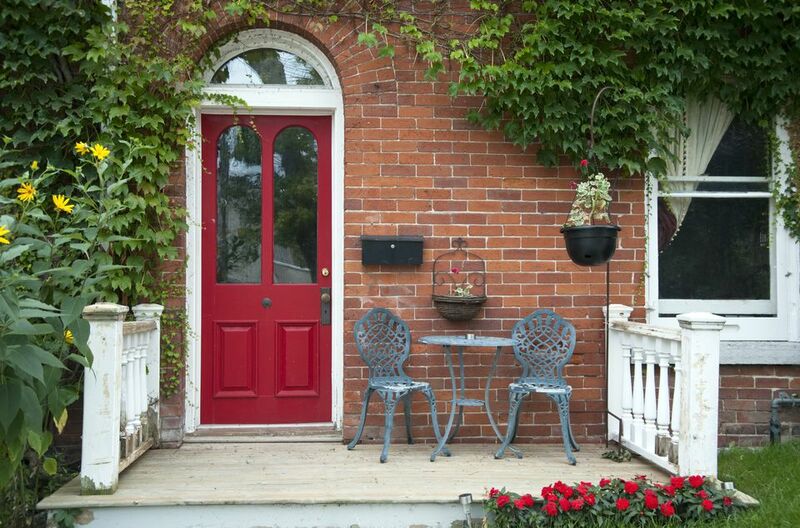 Here is a good short article on front door colors based on Feng Shui. You’ll need to know your exposure, for instance, I have a Southern facing front door so I have a steel door with a fiberglass wood veneer that I stained with two colors of gel stain, cedar and a color called bark, to resemble reddish woodgrain with darker streaking. It gives me the Feng Shui red/South door and it also looks like real wood but with the security of steel. I could have simply painted it red, or purple, or even magenta, but I wanted the look of wood so I choose a warmer redder wood-tone rather than a cooler-tone. Great blog regarding door st up and colors. Thanks for sharing your idea.